I don’t remember a whole lot about my first visit to the old Yankee Stadium when I was six or seven. I know it’s supposed to be a seminal event in any Yankee fans life and that every detail should be remembered as an everlasting photograph. However, at that age, I just didn’t understand the importance of the moment. I’ve been told it was an Old Timer’s Day and I could have potentially seen Mickey Mantle, Joe DiMaggio, Phil Rizzuto and other Yankee legends who were still alive back then. It would have been a nice memory to tell my kids one day, but alas, it isn’t one that survived. However there are certain memories from that day that do stick out in my mind. I was a shy kid so I vividly remember being overwhelmed by the sheer mass of the crowd. Walking around the stadium before the game, I don’t think I could have clung tighter to my dad’s hand. I remember looking around, eyes wide open, at all the people surrounding us. I sat between my father and older brother, Tom, and was hypnotized by the cheering crowd. I’ll never forget that out of all those people, Tom was the one a pigeon picked to relieve itself on. Classic. But, unfortunately, I have no memory of the game itself. I’m pretty sure the Yanks lost, because I only saw a few wins in the old place. One of the first wins I remember seeing in person was in 1996. It was a school field trip, but I got to take my dad. The Red Sox jumped out to an early lead, but after a rain delay, Bernie Williams tripled to put the Yankees in the lead for good. The best part about that game was watching the Yankees superb end of the game relief pitchers in person. Mariano Rivera mowed down the Sox in the bottom of the eighth inning. The Yankees’ closer at the time was John Wetteland and he started out the ninth inning with a strikeout that made the whole stadium shake. He ended the game with a strike out after Joe Girardi threw out a runner trying to steal second base. I remember my dad jumping out of his seat like he was a teenager. I’ll never forget giving him a high five and hugging him while all the fans went nuts around us. The best seats I ever had in the old stadium fell into my lap. I received the tickets as a gift for a July 4th game. I brought my dad and we were pretty happy to find out that the seats were a section removed from the seats closest to the field. We were also under the upper level and out of the harsh July sun. Early in the game, a couple came up to us and asked if we wanted to switch seats with them because they wanted to get their young daughter out of the sun. The father pointed to where his seats were—eight rows up from the visiting team’s on-deck circle. I’ve never seen my father move so fast to claim our new seats. And I immediately went to get us some flat, overpriced celebratory beer. It never tasted so good. It was hot in the sun, but we had come well prepared with ample amounts of sunscreen so we didn’t fry like bacon. I don’t think we left those seats once, not even to use the bathroom. When the game ended, with a Yankees win in fact, neither of us was eager to go home. 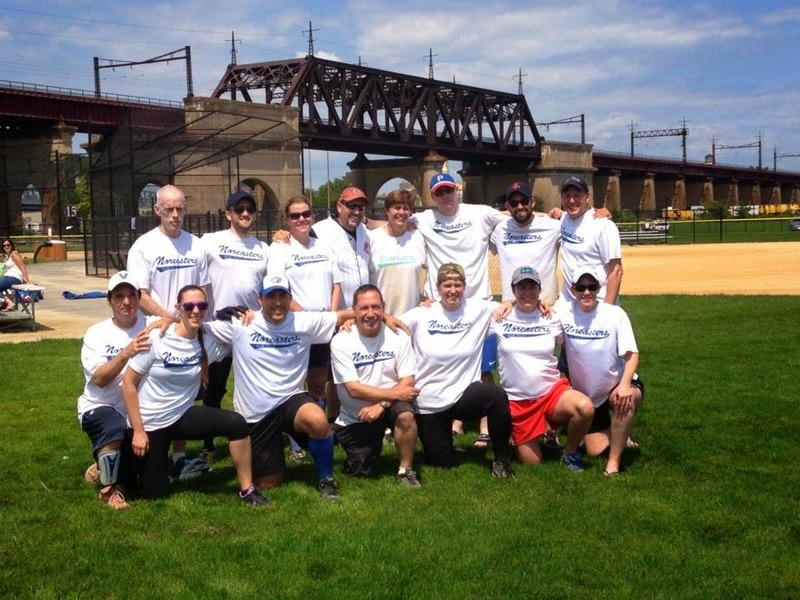 I watched every last second of the last game at the old Yankee Stadium on television. My girlfriend, who had gone to bed well before it ended, asked me in the morning how the game had gone and I told her I cried at the end of it. She couldn’t understand why. She said the new stadium was going to be hundreds of times nicer and soon everyone would forget about the old one. My father actually said the same thing when I called him later in the day even though he was only saying it to comfort himself. But it wasn’t the Stadium I was crying for; it was all of those memories I still have. I know I’ll make memories in the new stadium, but there will always be a piece of me that will always remain with the old one. What was really weird about my first visit to the new incarnation of Yankee Stadium was seeing the old stadium still standing across the street. It was like having your ex-girlfriend sitting a couple seats over from you and you’re still desperately in love with her. Coming out of the subway, my muscle memory almost dragged me to the opposite side of the street. However, I overcame that when I realized that my current girlfriend was even better than the old one. My actual girlfriend is the reason I got to go in the first place. I concluded when the new stadium was built that there would be no way I could afford tickets. She received an e-mail last week with a promotion for $5 tickets and made me call immediately. The next thing I knew, I had two seats in the upper deck for only $20. You have to love the $10 service charge. I was in love at first sight. I couldn’t stop looking at the beautiful new design once I got off the subway. The outside is very reminiscent of the old Yankee Stadium prior to the 1974-1975 renovation. It had a really old school feel to it, but also looked fresh and modern. I had a huge grin on my face and was bouncing around excitedly like it was my birthday and I was ten years old. I couldn’t wait to get inside. I’ll never forget walking into the Great Hall for the first time. It defies description. It’s everything that makes the Yankees the Yankees. It’s over-the-top, lavish, in-your-face and historic. It’s wide open and feels like you’re walking into the lobby of a five-star hotel. There are banners representing Yankee greats, as well a humongous picture of the celebration of the 1996 World Series victory. I started seriously following Major League Baseball that particular year and to see the image of Wetteland jumping into Girardi’s arms blown up larger than life instantly gave me chills. As much as I wanted to see where my seats were, I wanted to see the field. My favorite part about going to a game as a kid was emerging out of the dark passageways into the brilliant sunshine and having the field seemingly leap into my consciousness. It appears as if the green grass never ended and it was always perfectly cut. The grounds crew would be raking the dirt to get it as smooth as possible. The players would be stretching or running in the outfield or having a catch on the grass in front of the dugout. All of these images attacked my senses at once and filled me with euphoria. I was happy to find out that seeing the field for the first time at the new stadium was just as awe inspiring as before. The whole experience made me feel like I had been there before. I sensed all of the old stadium’s charm. My dad, who had gone to a game there the previous Sunday, commented that it felt like you were home. And he was right. I couldn’t shake the feeling that this place had been here forever, instead of being just a month old. I am absolutely in love with the façade that surrounds the roof. It’s a great touch and really adds a feeling of nostalgia to the whole place. I remember growing up watching old highlights of games before the original stadium was renovated. I always appreciated the way the stadium used to look. To me, the post-renovated stadium lost a little of that old-time charm by having only part of the façade over the centerfield scoreboards. The Yankees made the right decision to replicate the old façade in the new design. Much like the old stadium, the new one included a walk of shame up the ramp to the grandstands. You keep walking and walking and feel like the game will be over by the time you reach your seats. However, what’s different about these ramps is that you have enough room so that you don’t feel like cattle being led to the slaughter house. Space is one of the biggest differences in the new Yankee Stadium. If the game is going bad and you want to leave your seat and go off by yourself, you feel like you can do that. Even though it was a smaller crowd because of the weather and I was in the upper deck, it felt like you had all the room in the world to walk around. I’ll need to go to another game to see how it is with more people there, but I got the impression that it was a lot easier to move around. Our seats were great. We were in the upper deck on the third base side in left field. Much like the old Yankee Stadium, I really don’t think there is a bad seat in the house. From where I was seated, it looked like every seat had a good view of the field, even if you were farther away. 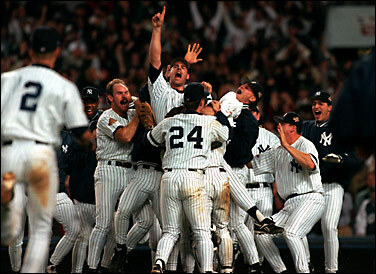 Andy Pettitte pitched that day and at first, I wasn’t that excited about it. I love him to death, but I’ve seen him a bunch of times in the last couple years. There was a rainout on Monday, so all the pitchers back a day. I knew I shouldn’t have been disappointed. Andy pitched great for seven innings. It was a really good game. The Yankees jumped out to a four run lead early and held on to beat the A’s 5-3. Brett Gardner made a terrific diving catch in centerfield, which my girlfriend remarked was worth the cost of our tickets. Mark Teixeira also made a heads-up play to throw a runner out at home plate and Johnny Damon sealed the lead with a homerun to left field. Since the Yankees led by less than three runs, I was able to see Mariano Rivera pitch. Seeing him trot in from the bullpen with Metallica’s Enter Sandman blaring and the stadium going crazy is one of the best moments in sports. He gave up a single to make it interesting, but retired the last batter on a weak pop up. Other than the game and seeing all the new stadium had to offer, there are a ton of other memories from that day that I’ll cherish for the rest of my life. It was fun teaching my girlfriend who the new players were so she could keep everyone’s name straight. Also, thanks to her, I now have a complex about why I don’t cheer along with the music. We got to know a drunk girl who was so wasted my girlfriend had to point out that the Yankees were in the white uniforms and the A’s were in the green uniforms. We got an added bonus when we were able to collect some souvenir cups that people left behind. As we were walking out, the old stadium seemed like it was sulking in the shadows cast by the bright lights of the new stadium. I almost felt guilty for enjoying the Yankees’ new home as much as I did. That feeling didn’t last long when I took a last look up at the new exterior all lit up against the black night. I felt like I was looking up at a monument. In a way, I was. It was a monument to all the memories that came before and all the memories that were ahead. It is a symbol of all the hope and promise that comes with being a Yankee fan. I look forward to experiencing it someday sitting with my father and brothers. OOO. 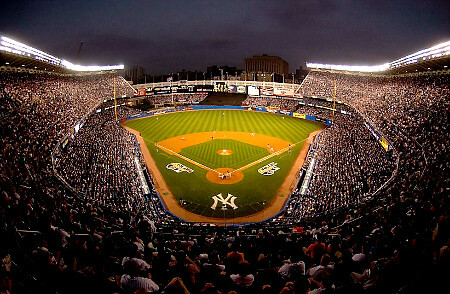 I love the pics of the new Yankee stadium. And Muzzy Field ;) Good stories. Makes me want to go to a game. We should go sometime. maybe even get chris out there. Thanks for sharing that. I am sure that you are not the only one who had mixed emotions about the change. I think it is always difficult to let go of an experience that has meant something to your life for many years and hope that a new element will be even more satisfying. 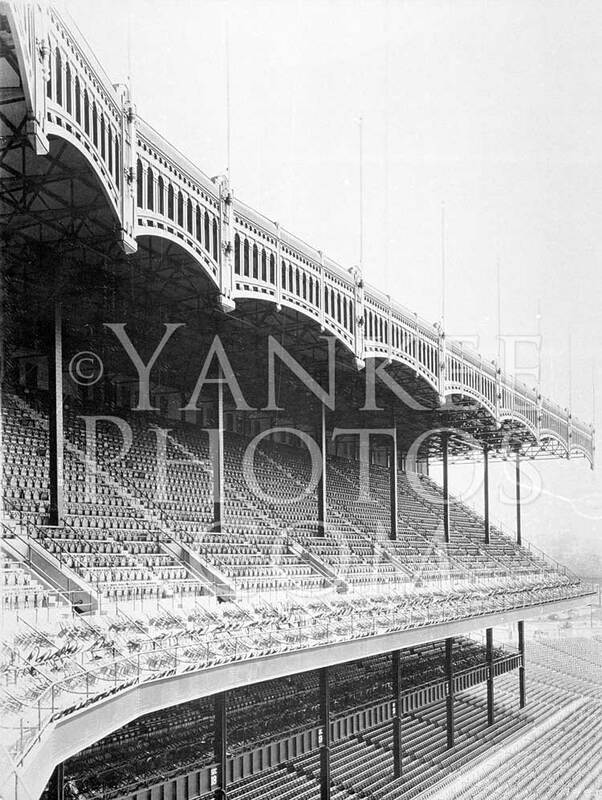 The original Yankee Stadium opened on April 18, 1923. Over the course of my life, I have visited the world famous structure several times. 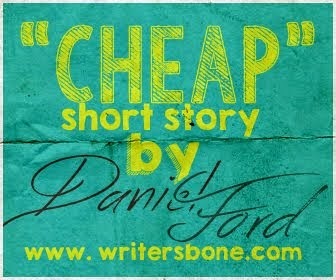 Wonderful article, Its really amazing blog, I really appreciate your article.